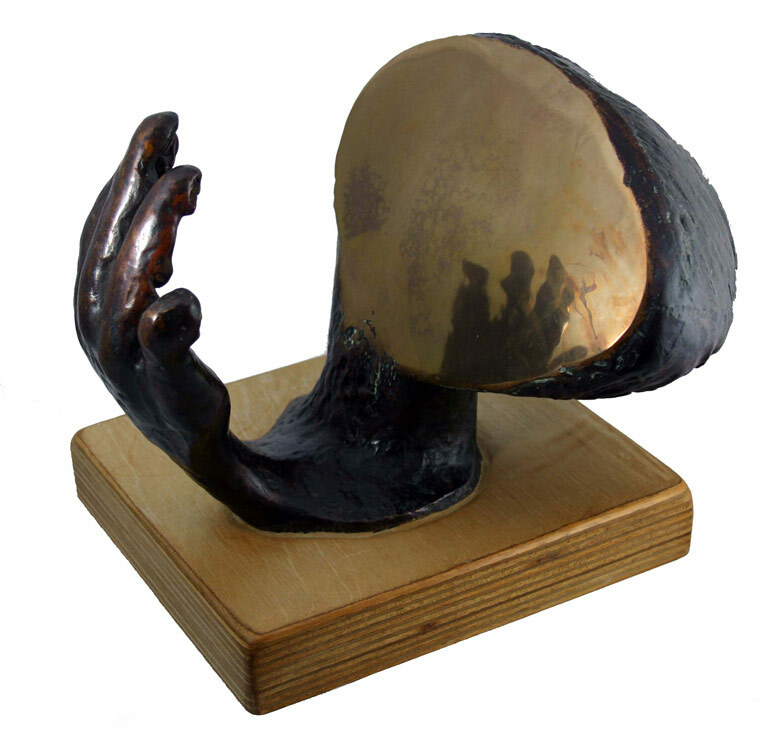 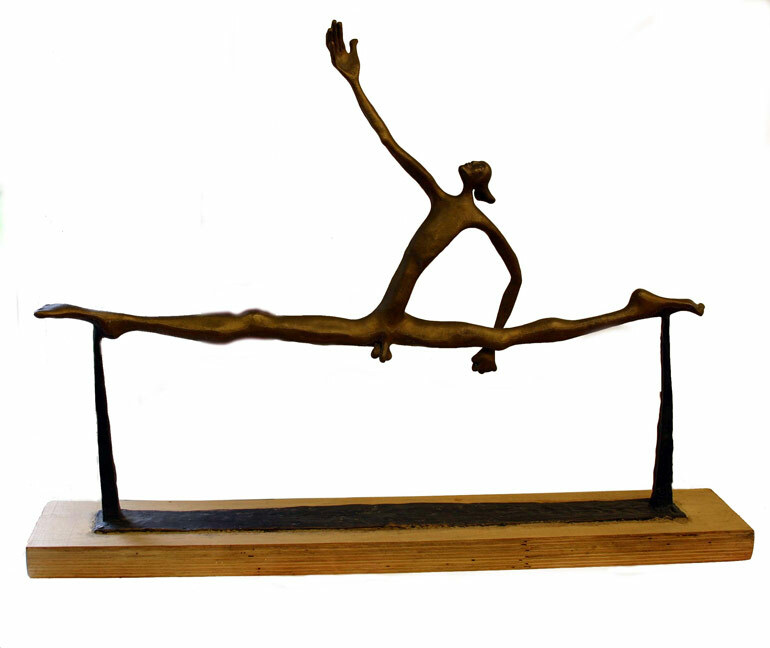 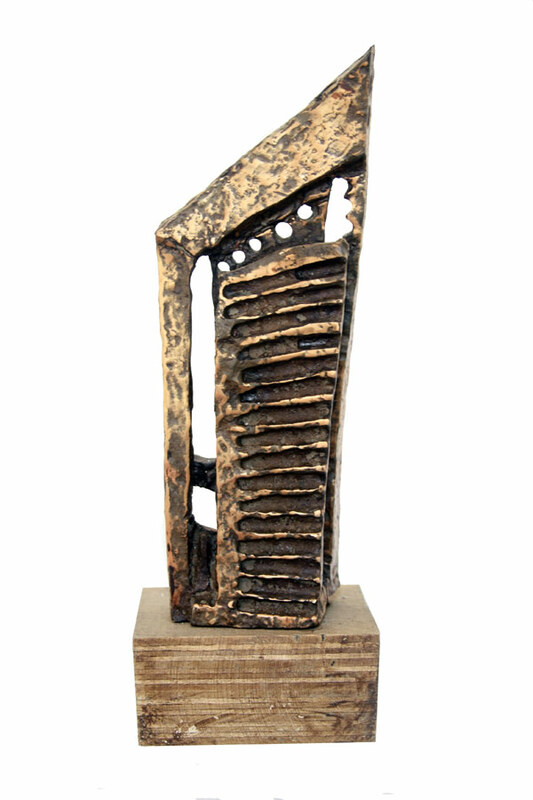 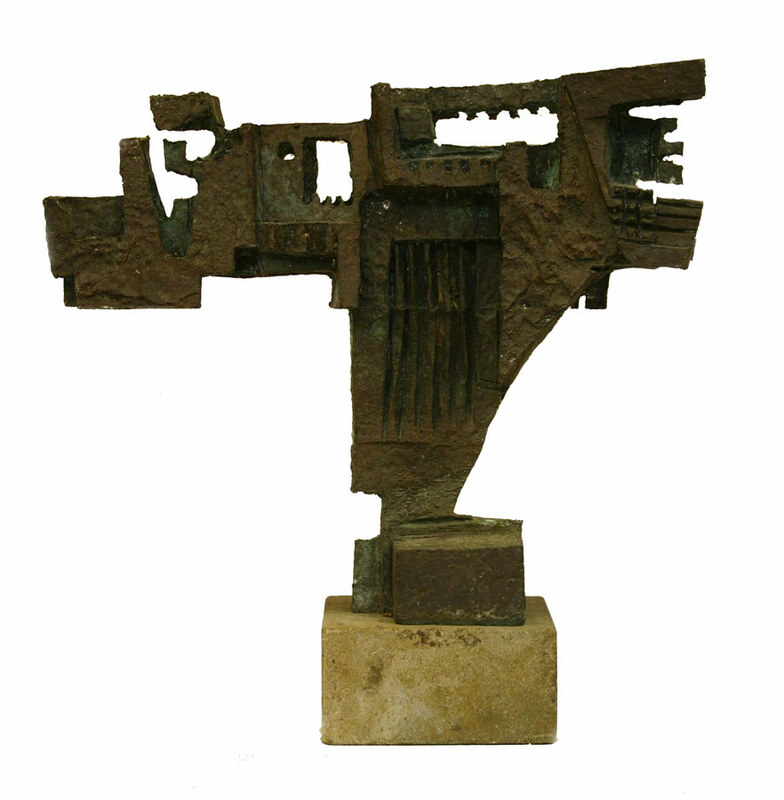 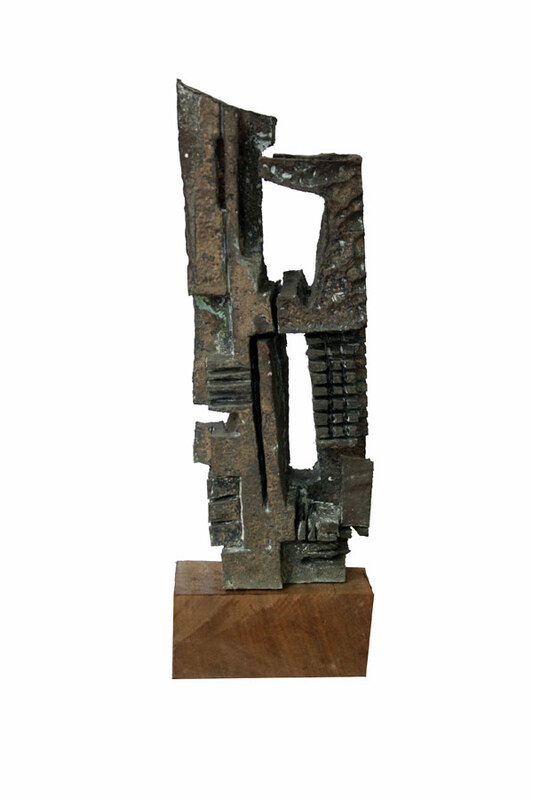 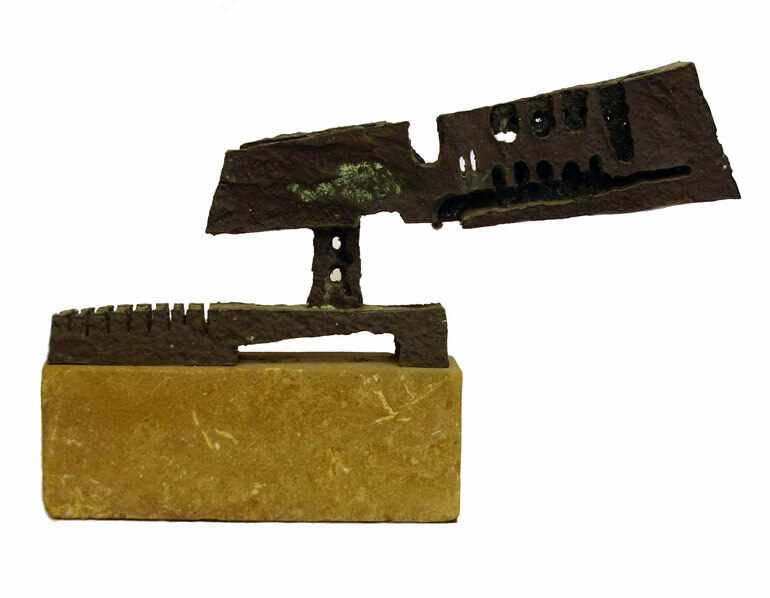 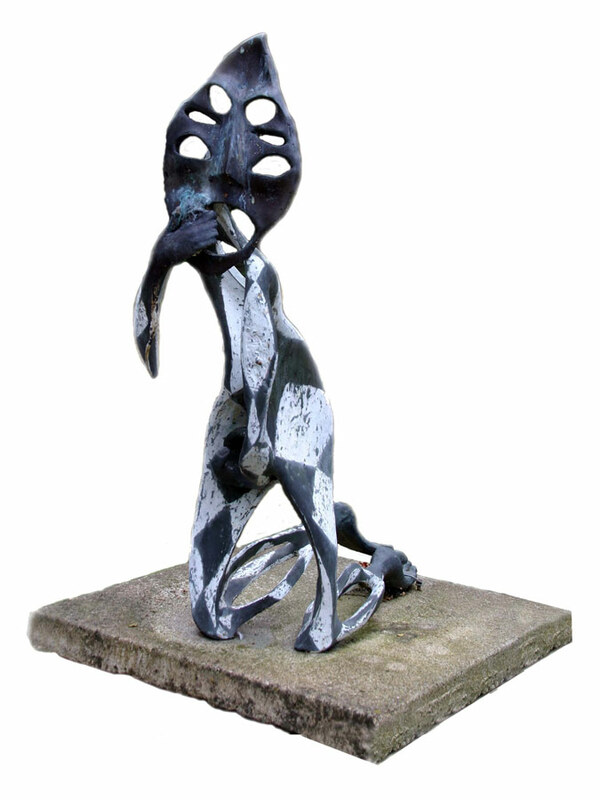 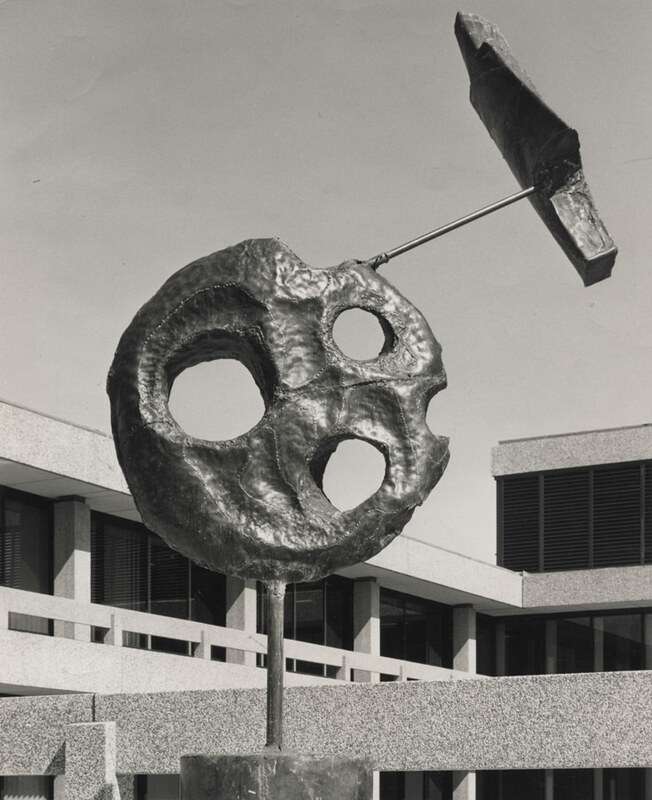 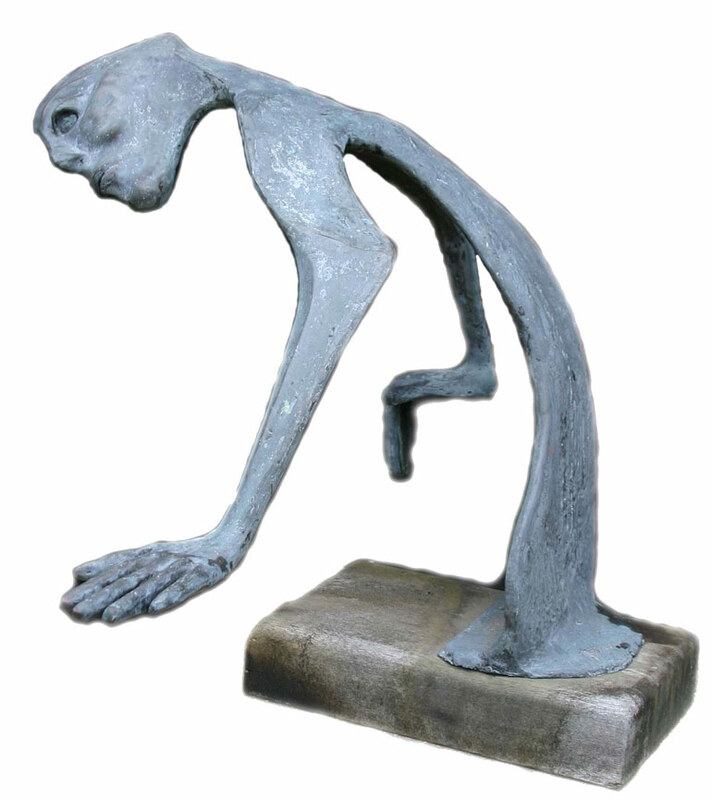 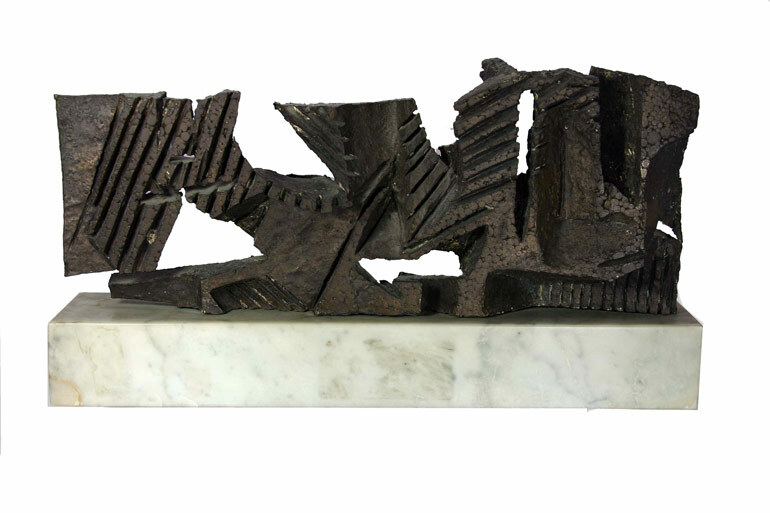 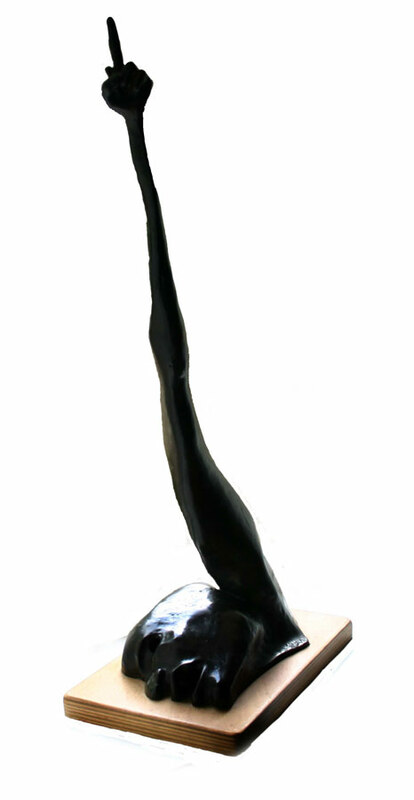 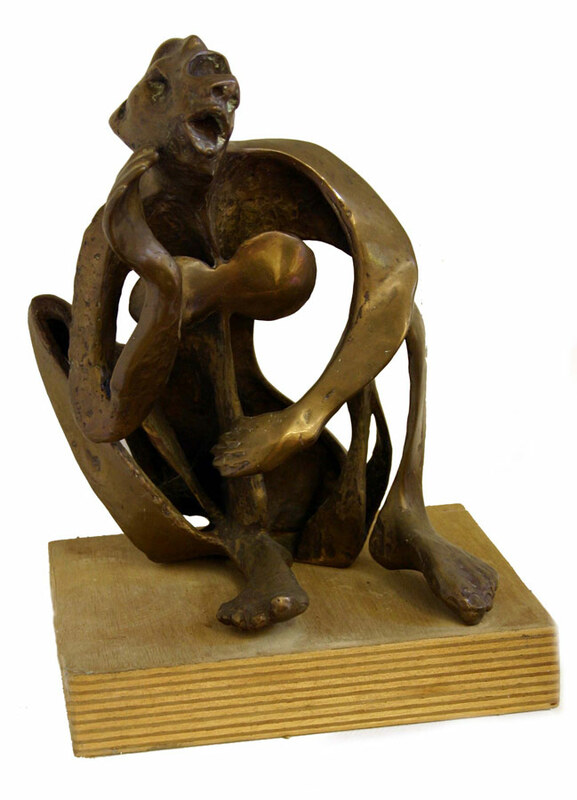 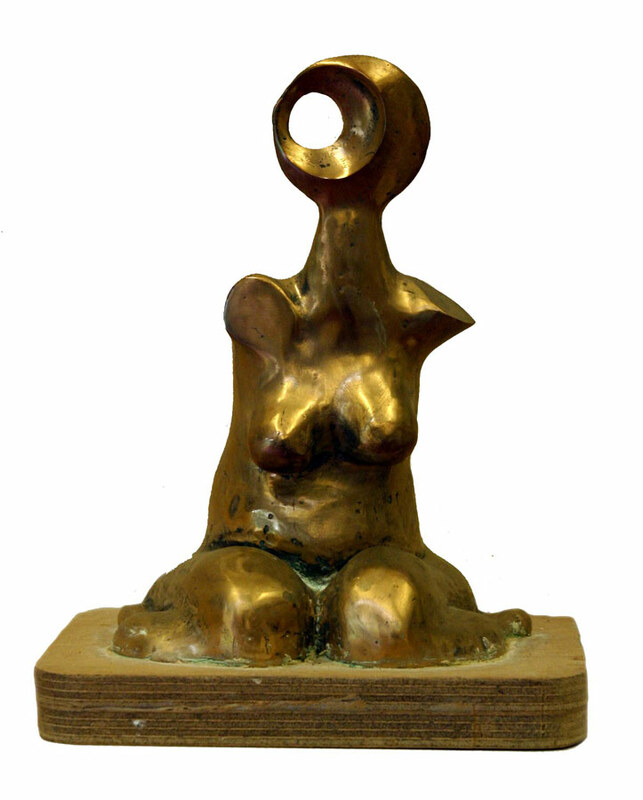 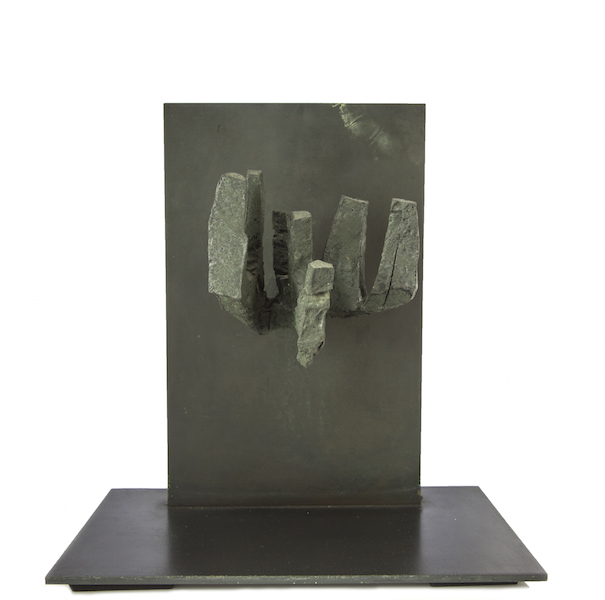 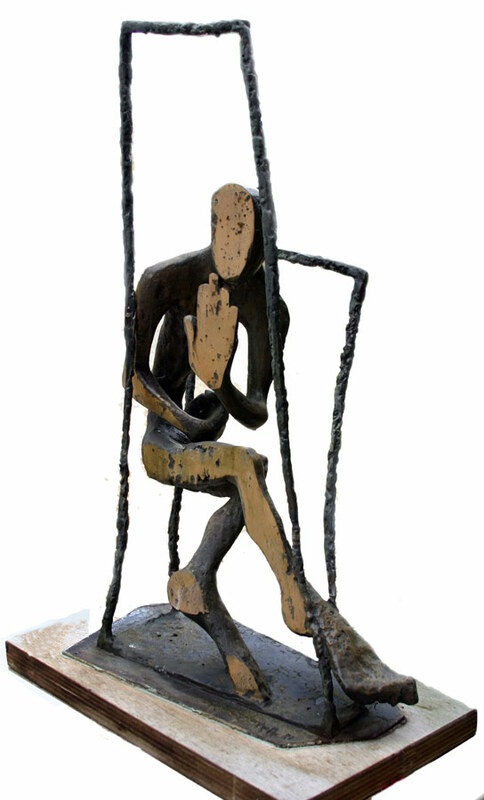 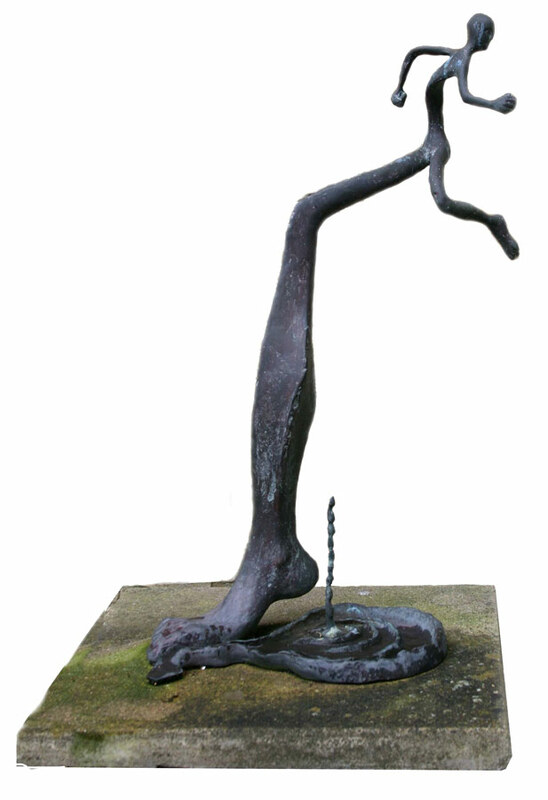 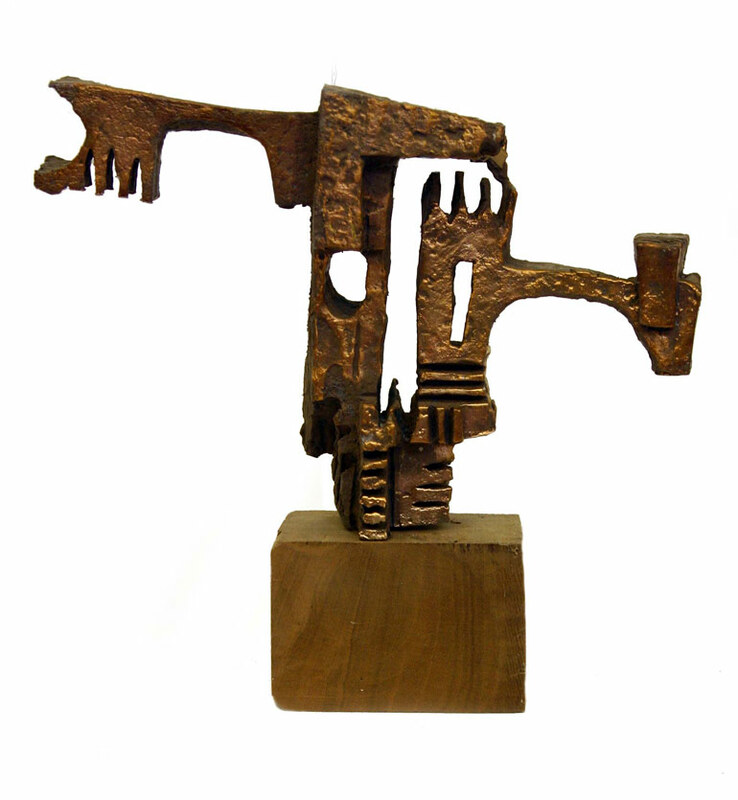 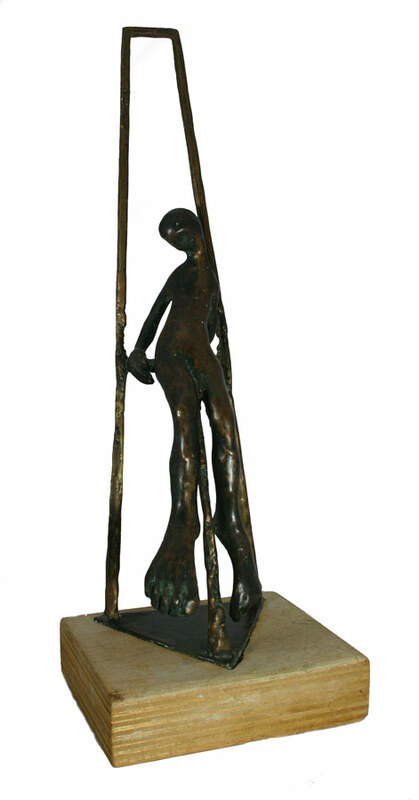 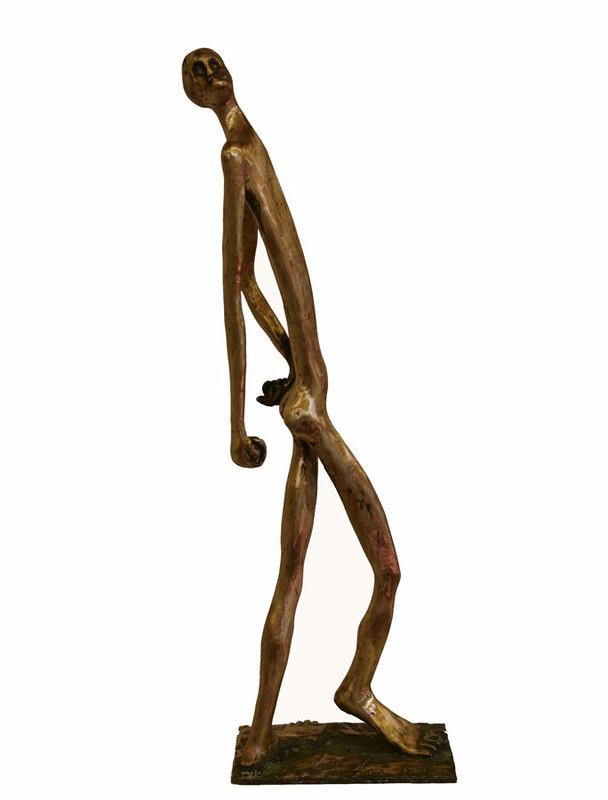 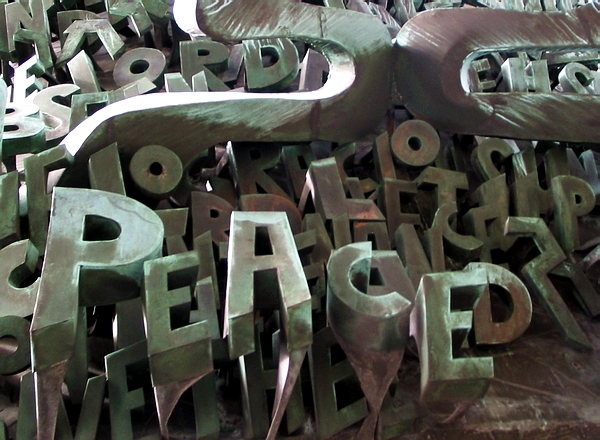 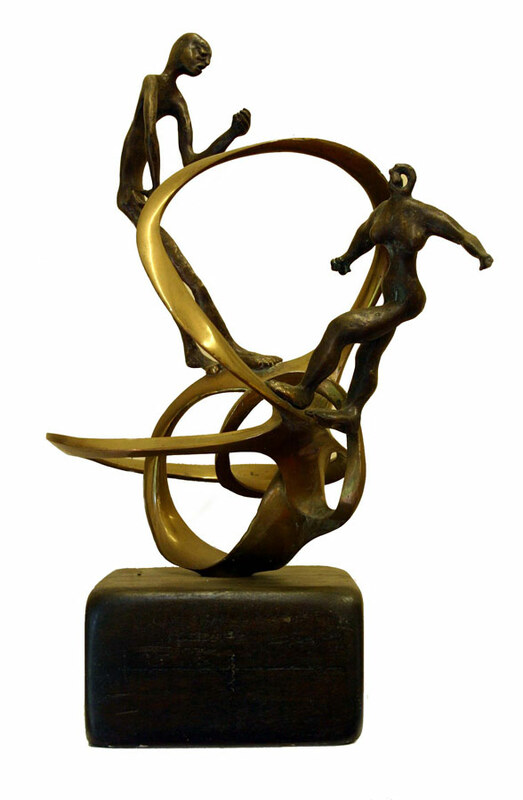 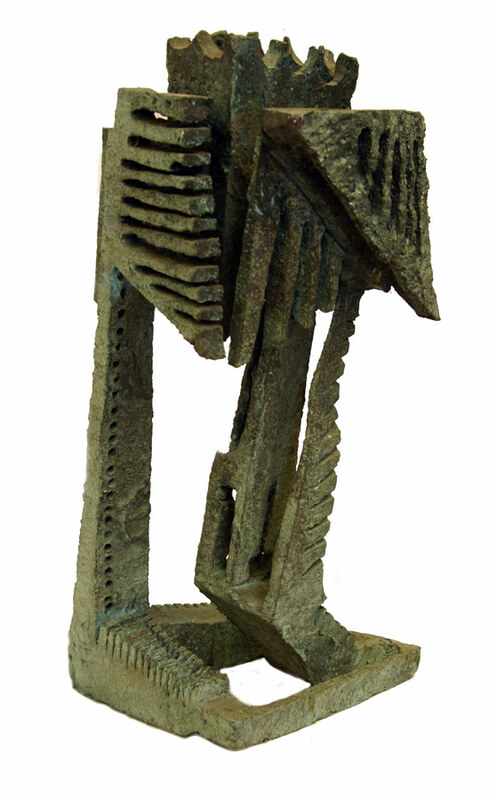 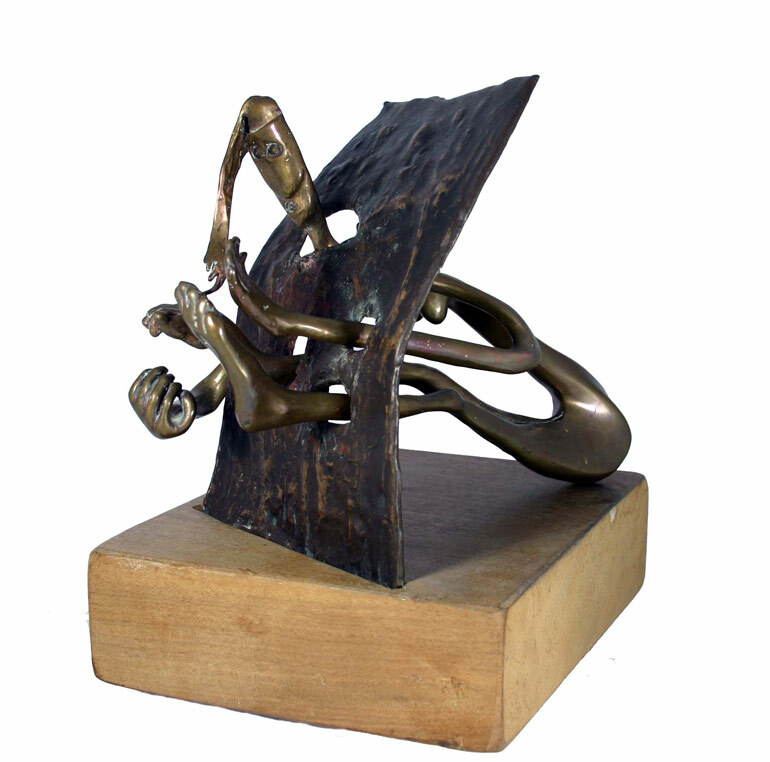 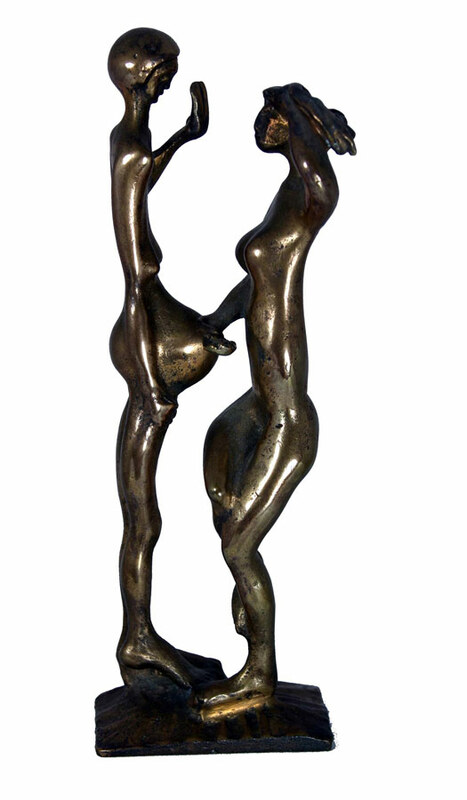 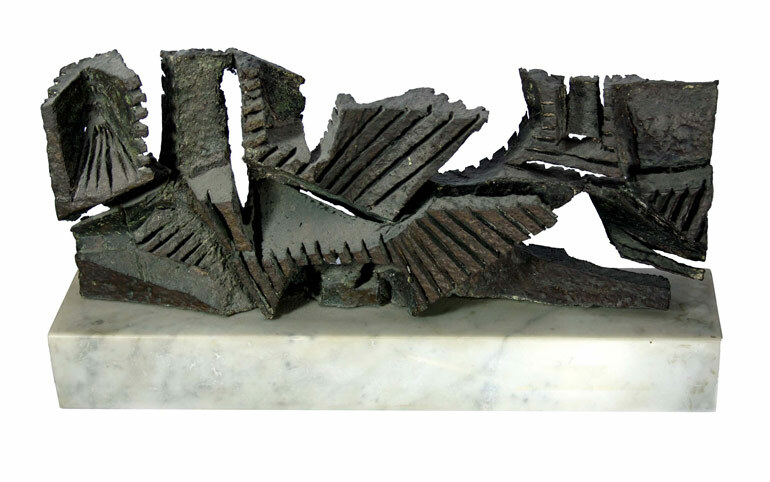 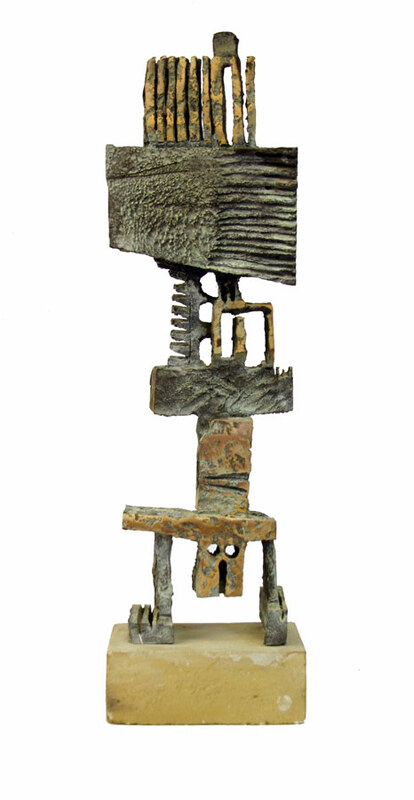 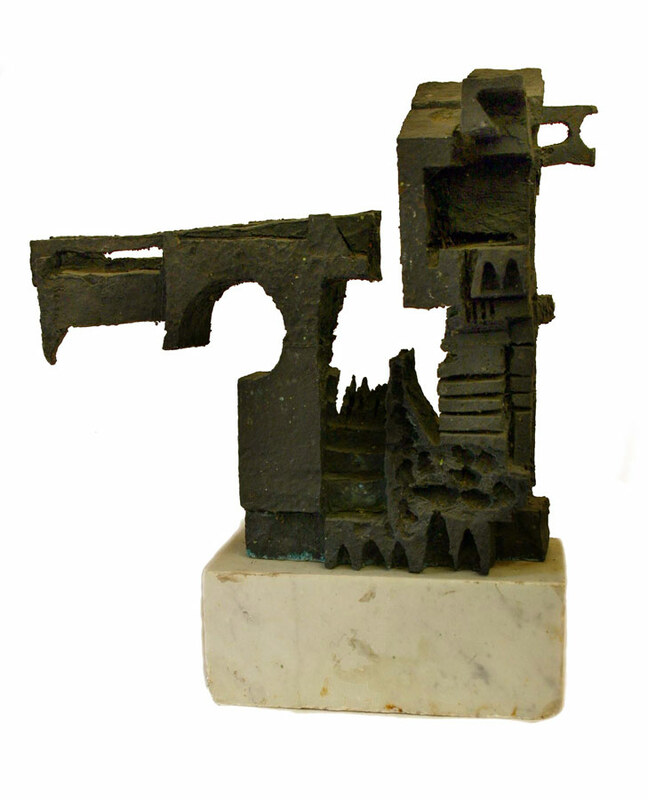 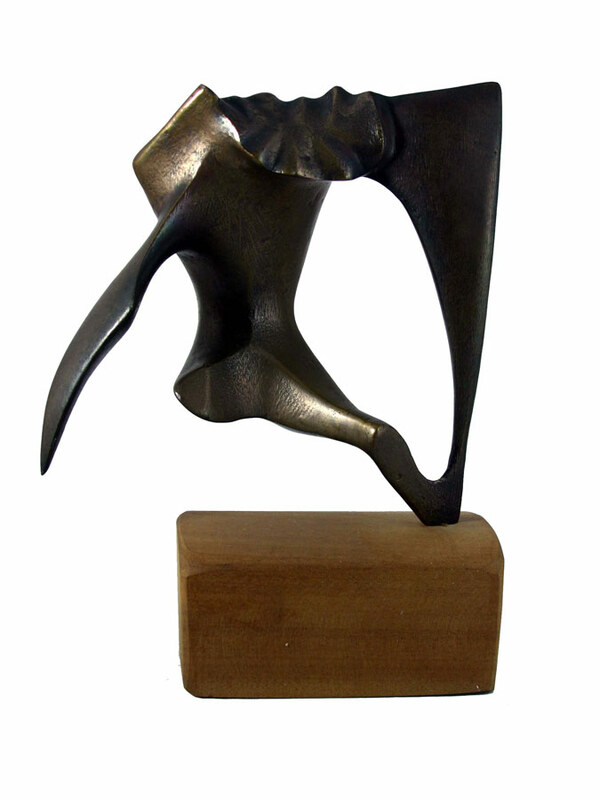 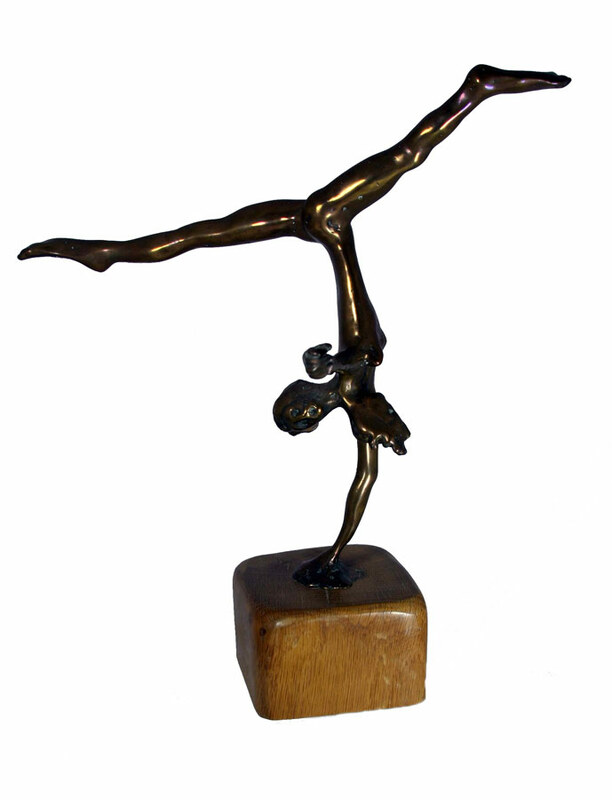 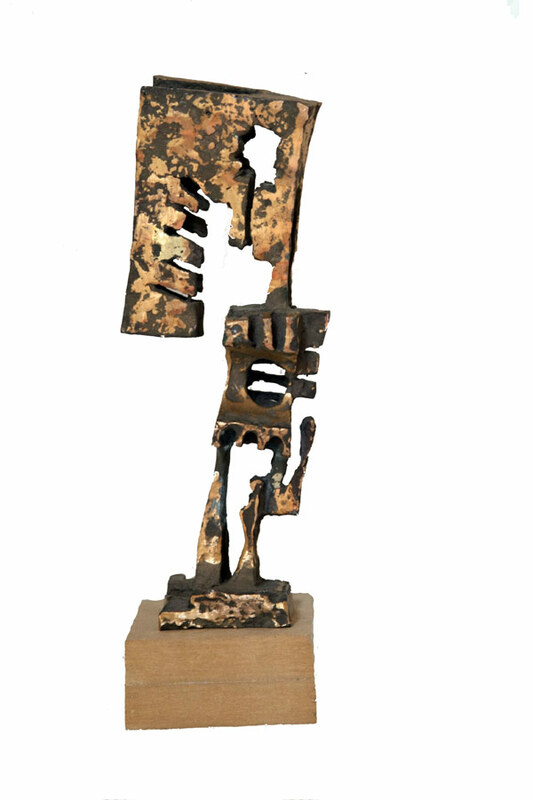 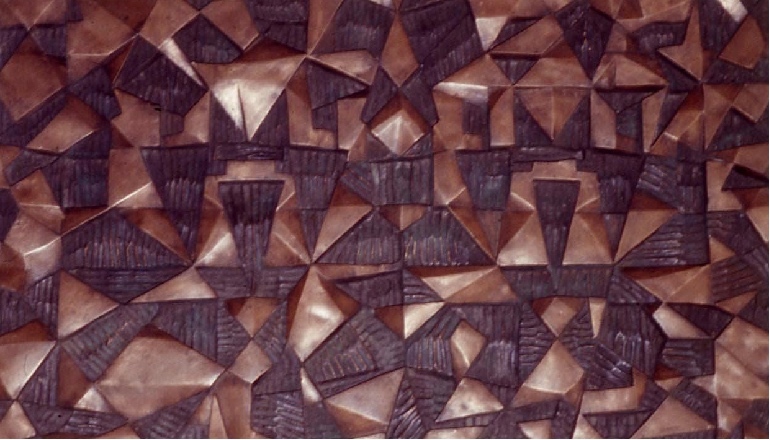 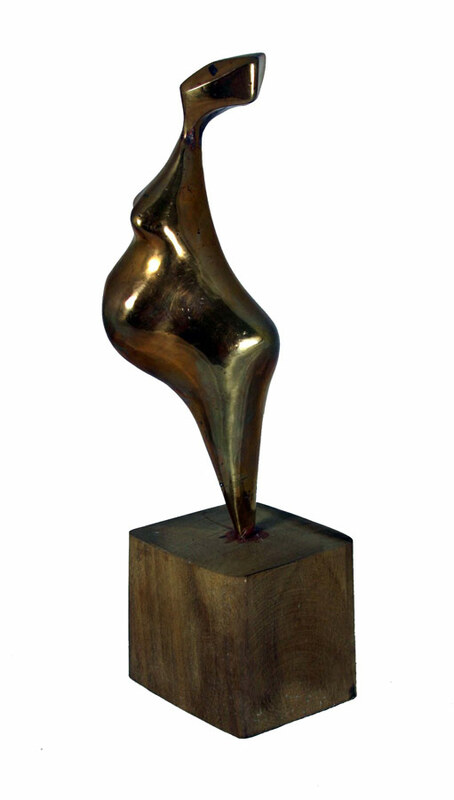 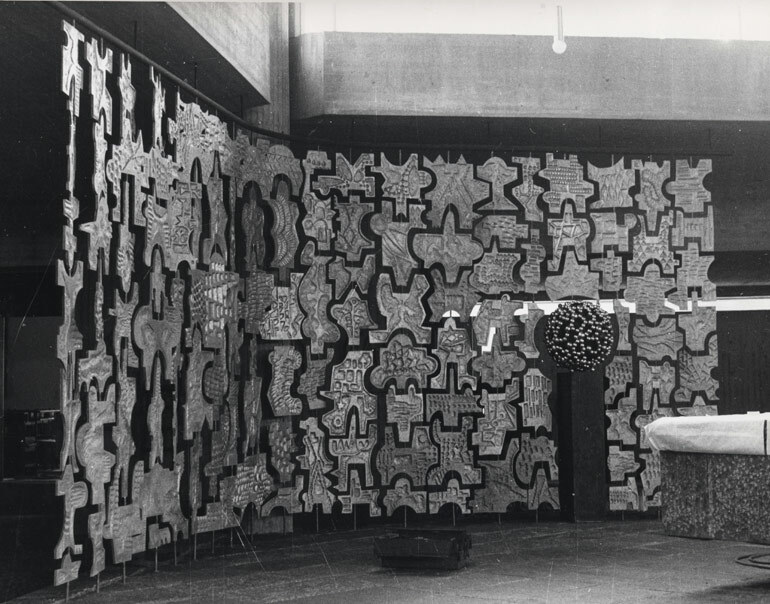 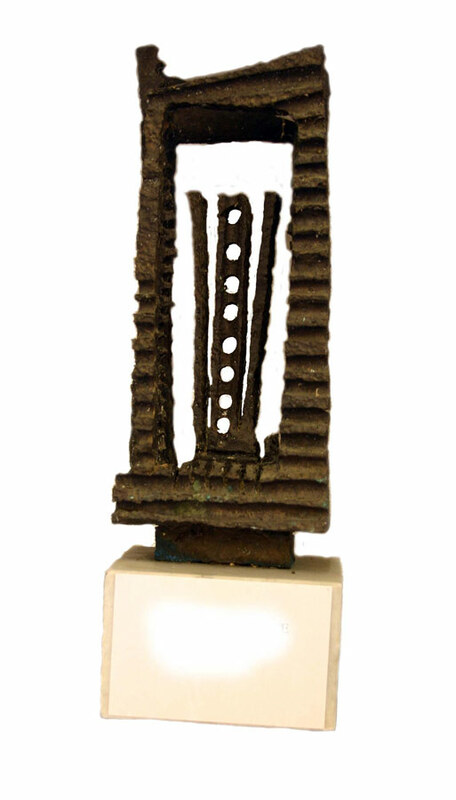 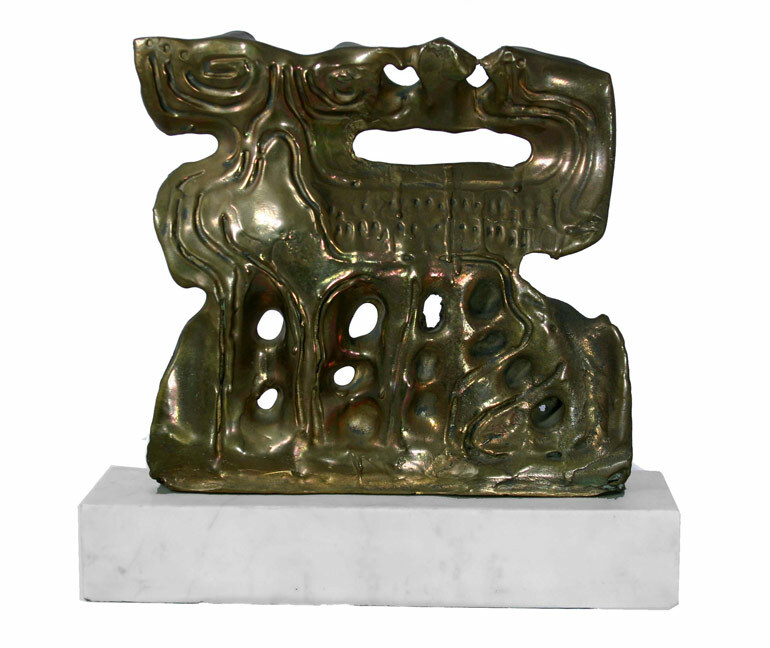 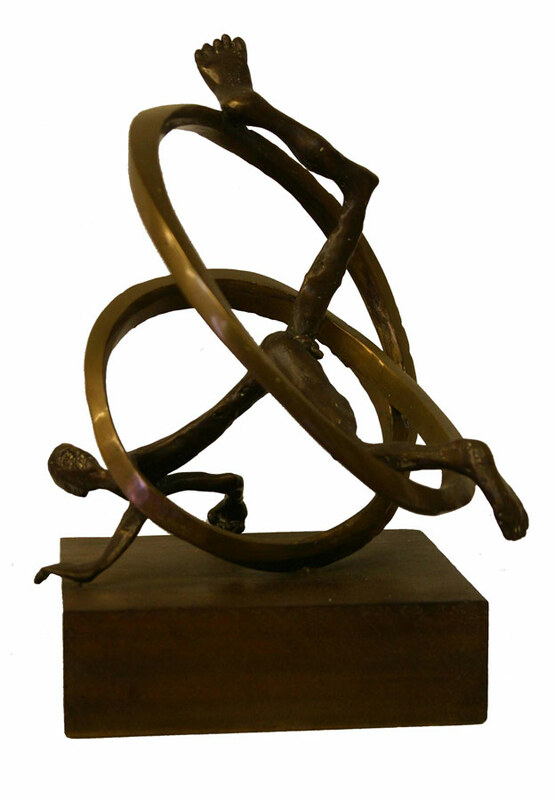 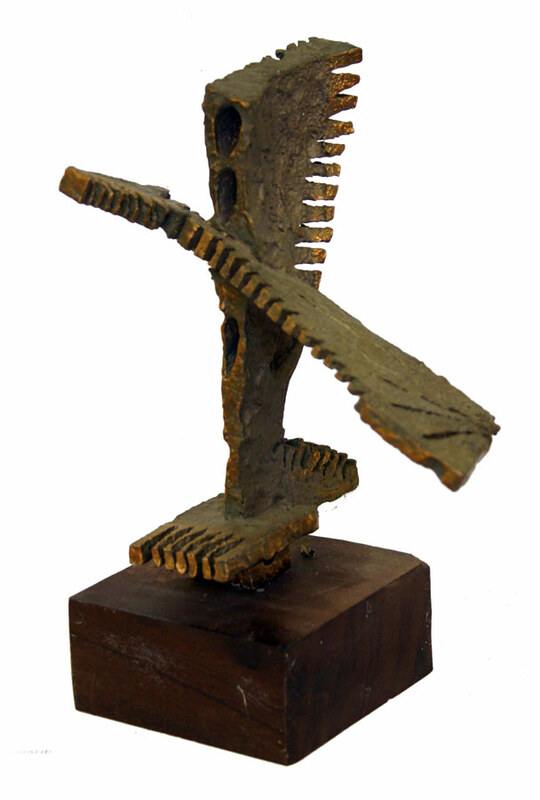 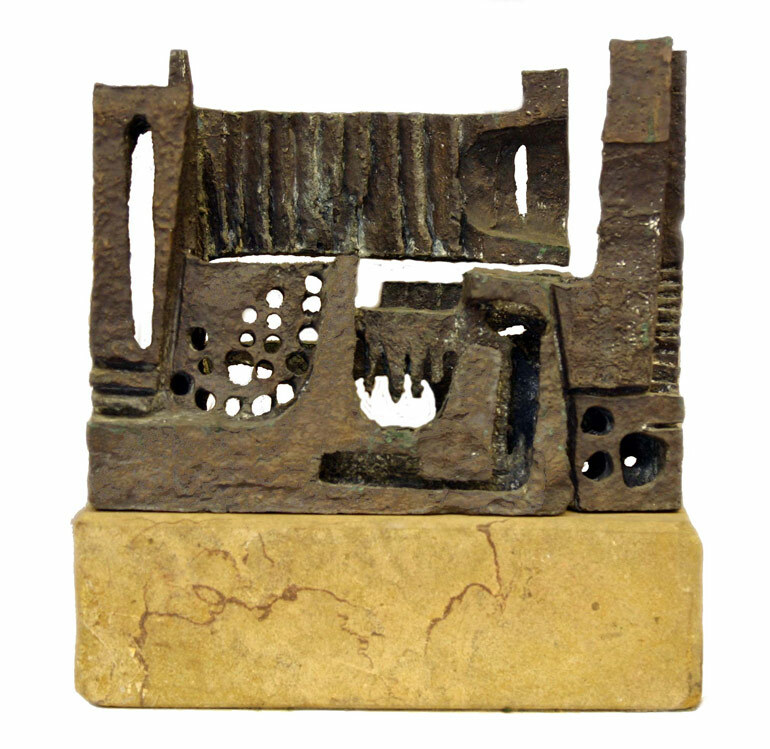 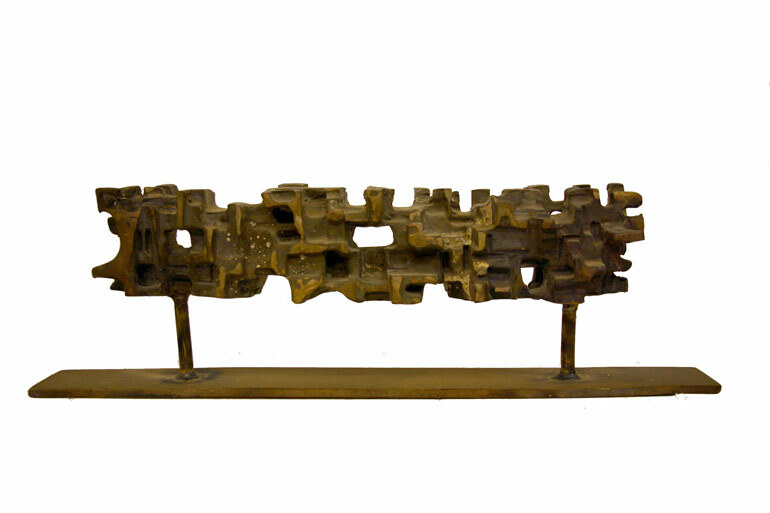 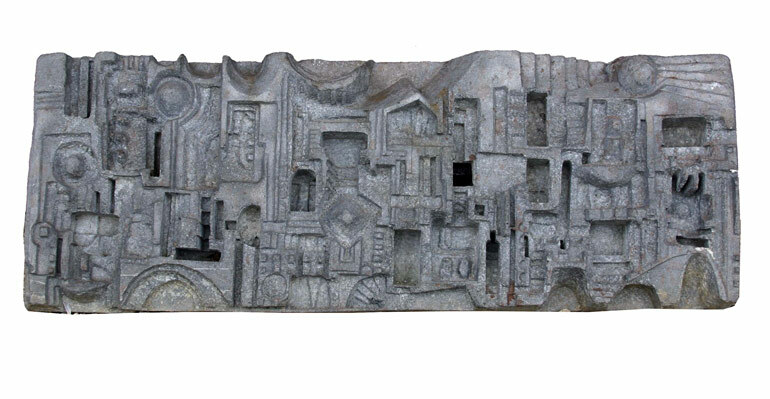 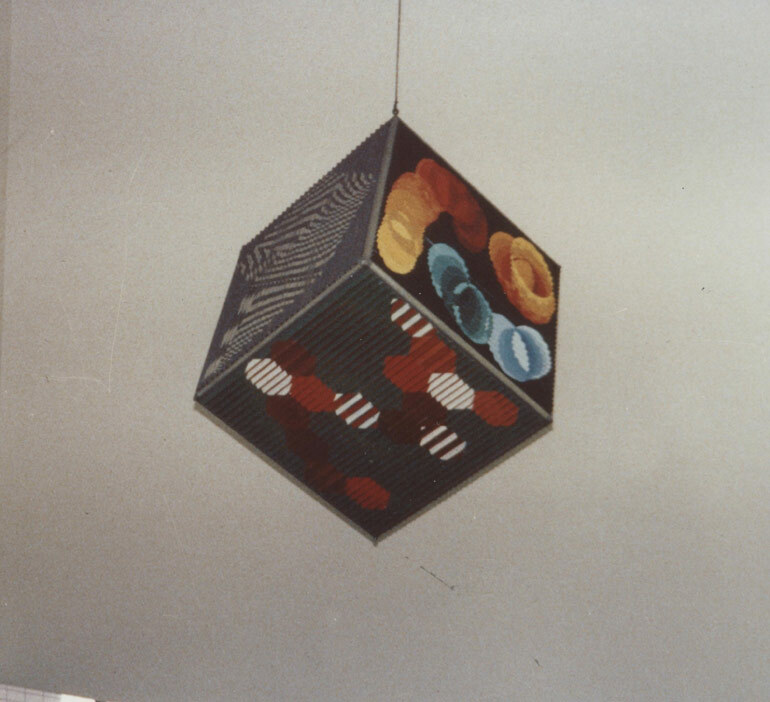 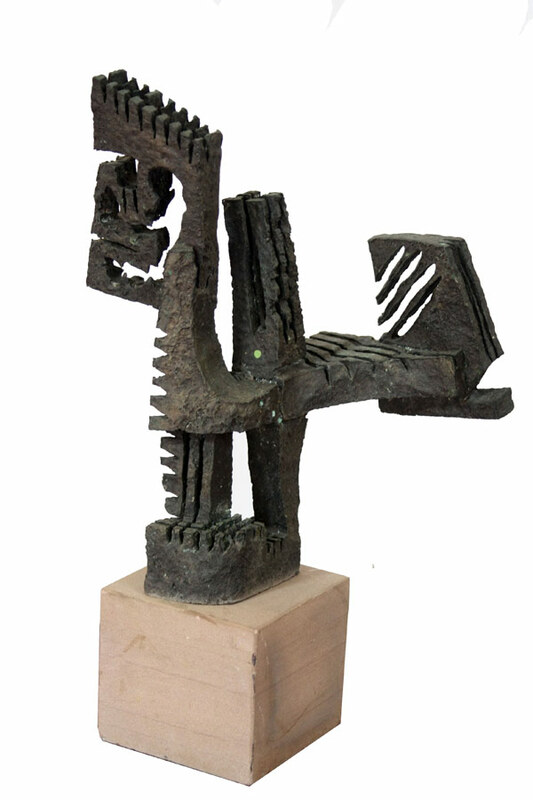 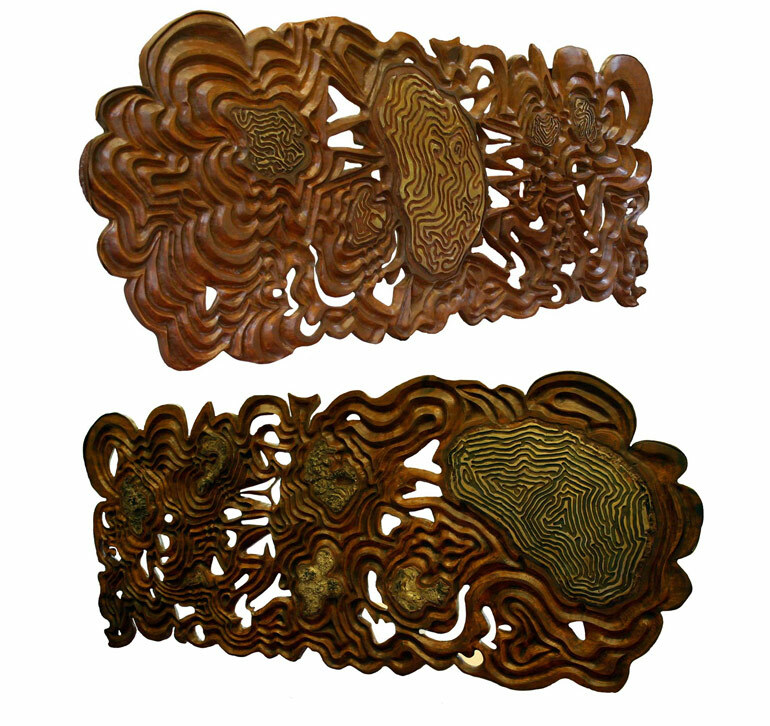 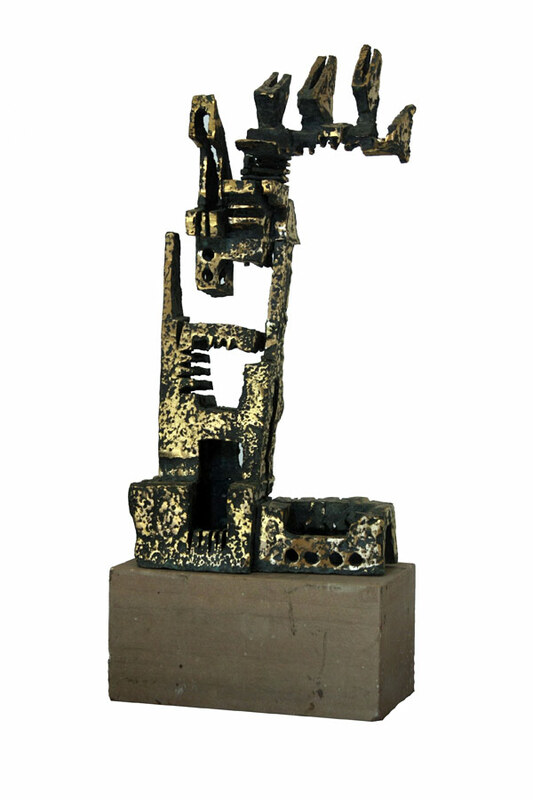 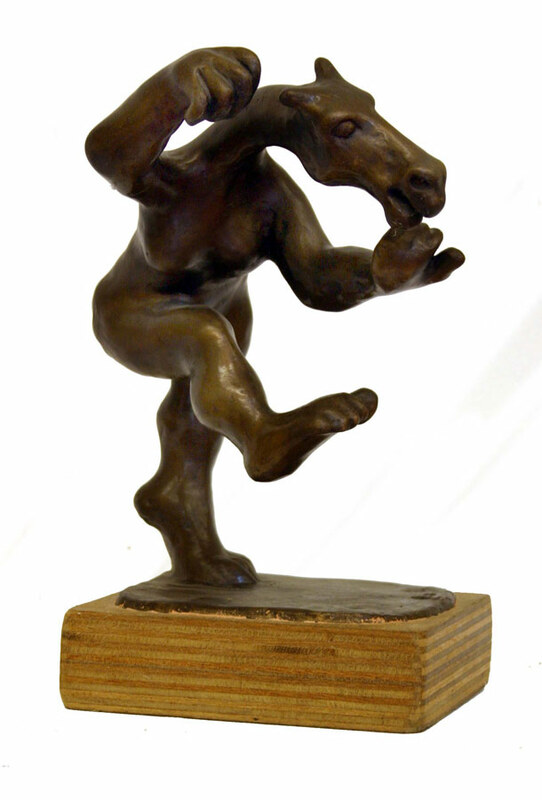 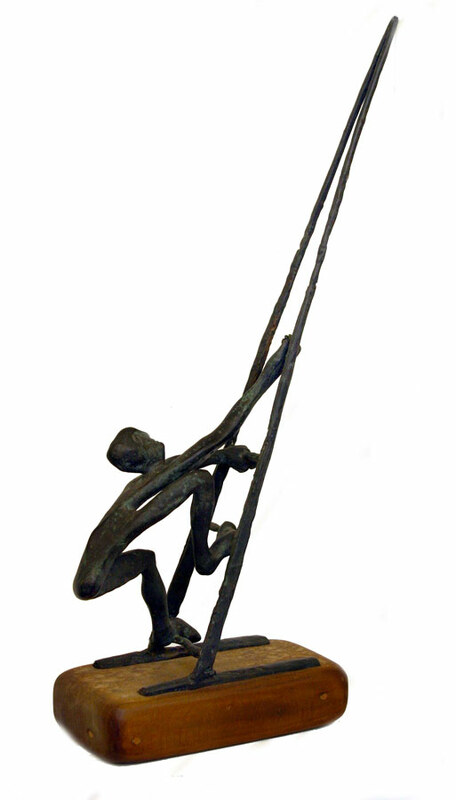 From the “Metaphors in Bronze and Wood” collection exhibited at Mabat Gallery in Tel-Aviv and at the Contemporary Art Fair, Olympia, London, in 1987. 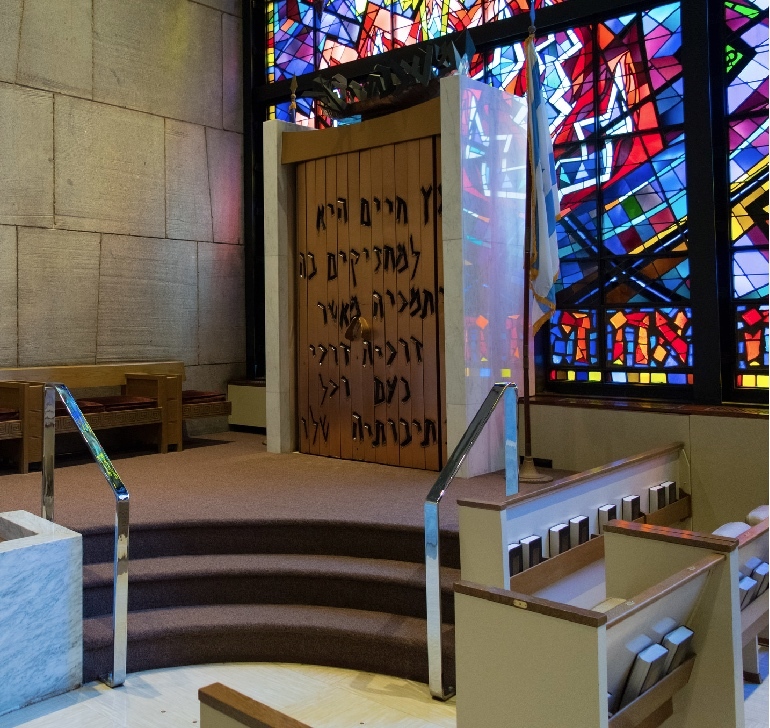 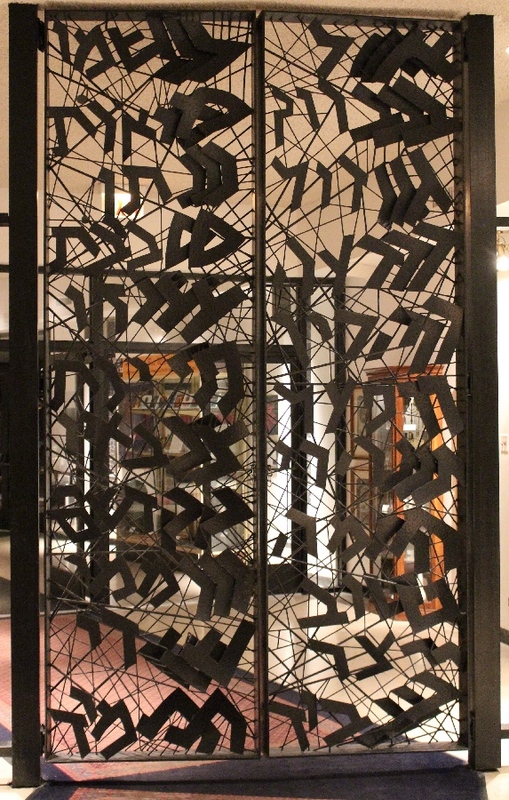 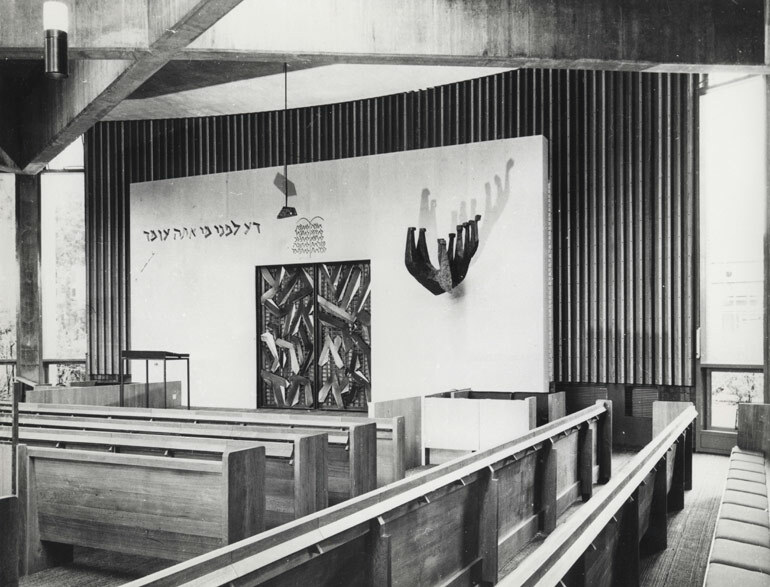 Iron maquette of candelabra for Belfast synagogue. 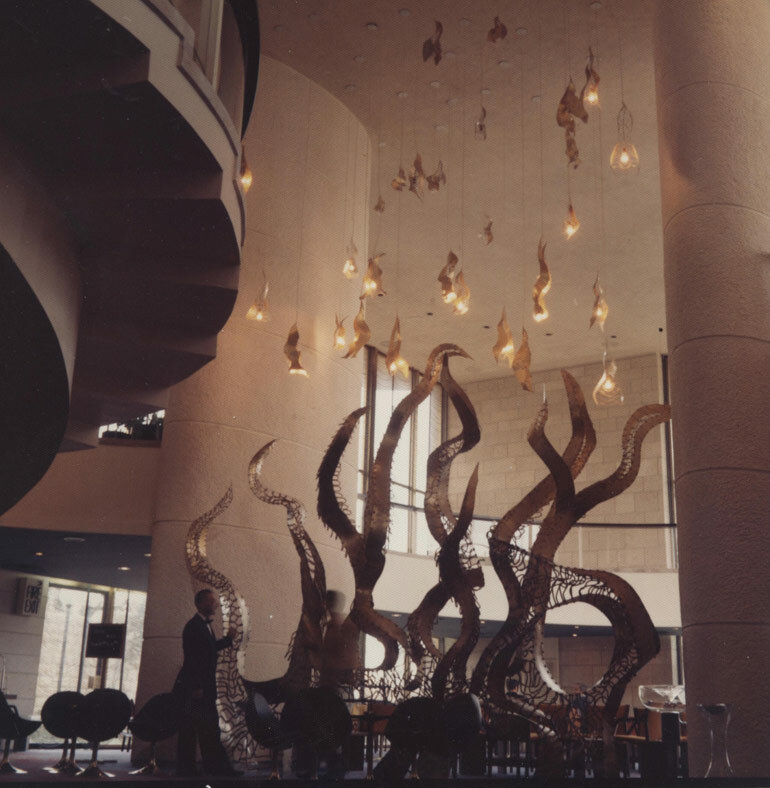 Mony Building, Syracuse N.Y, USA. 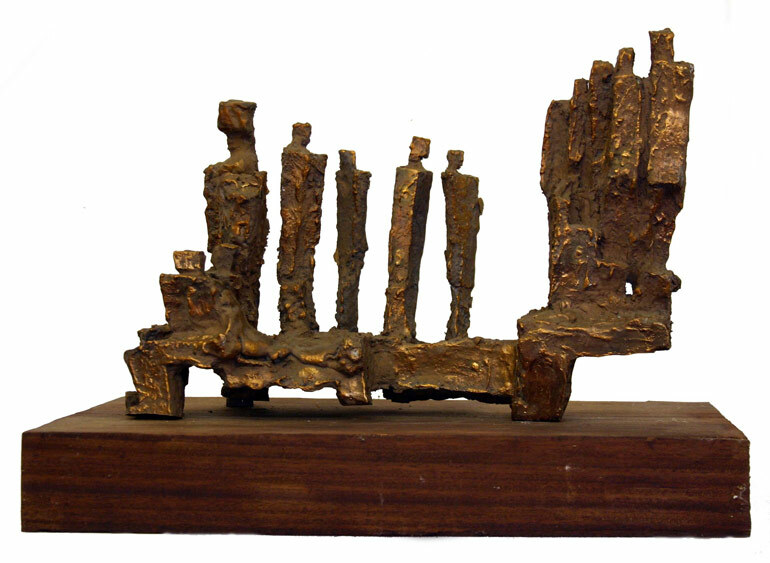 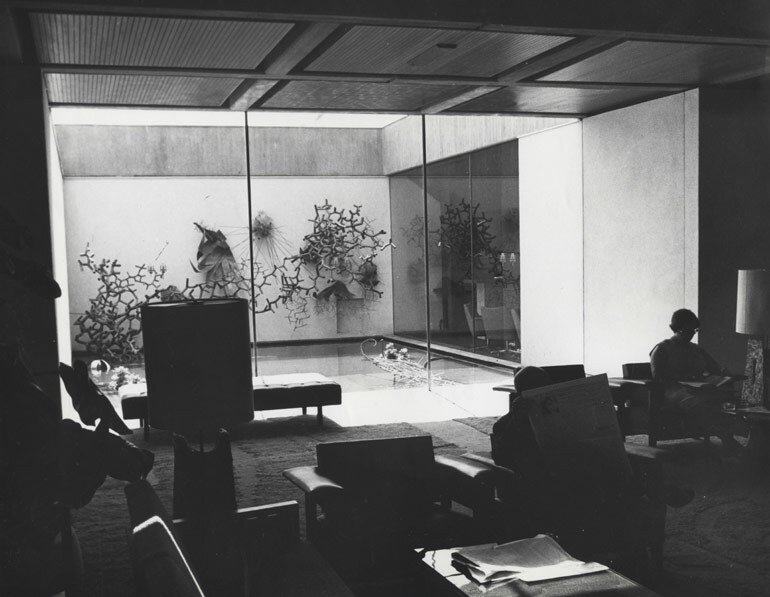 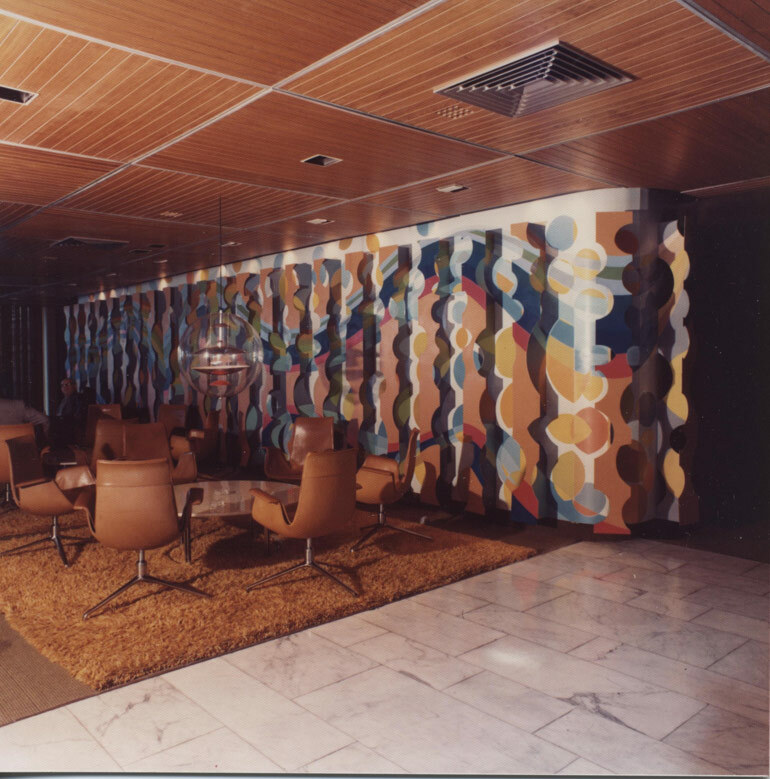 The sculpture was disassembled during hotel renovations. 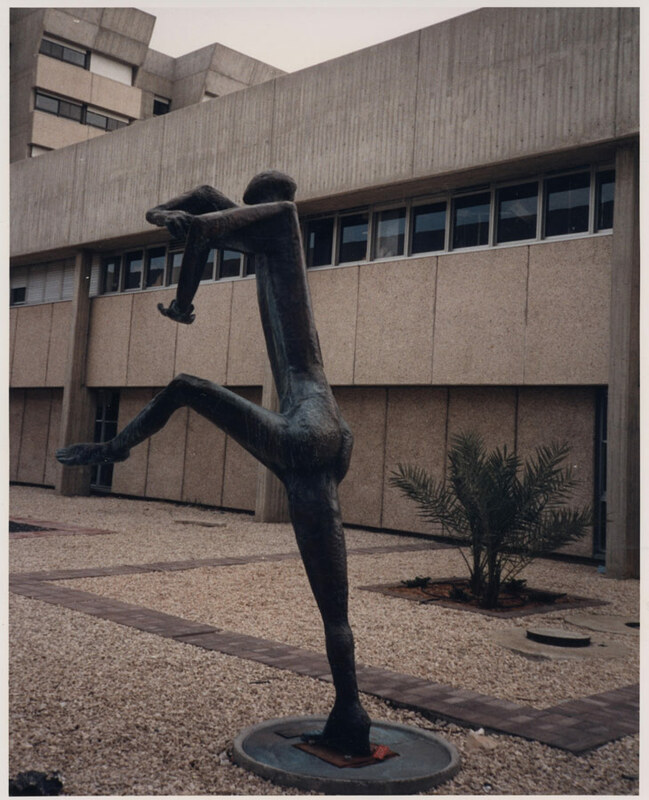 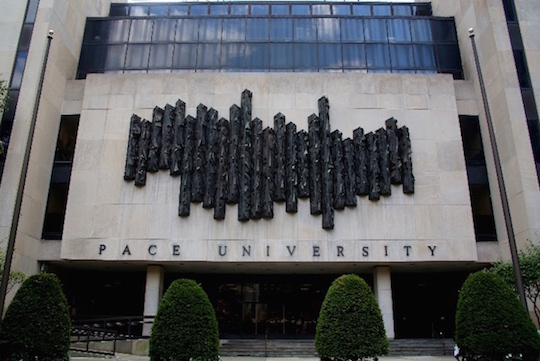 We would welcome information about the current location of this artwork. 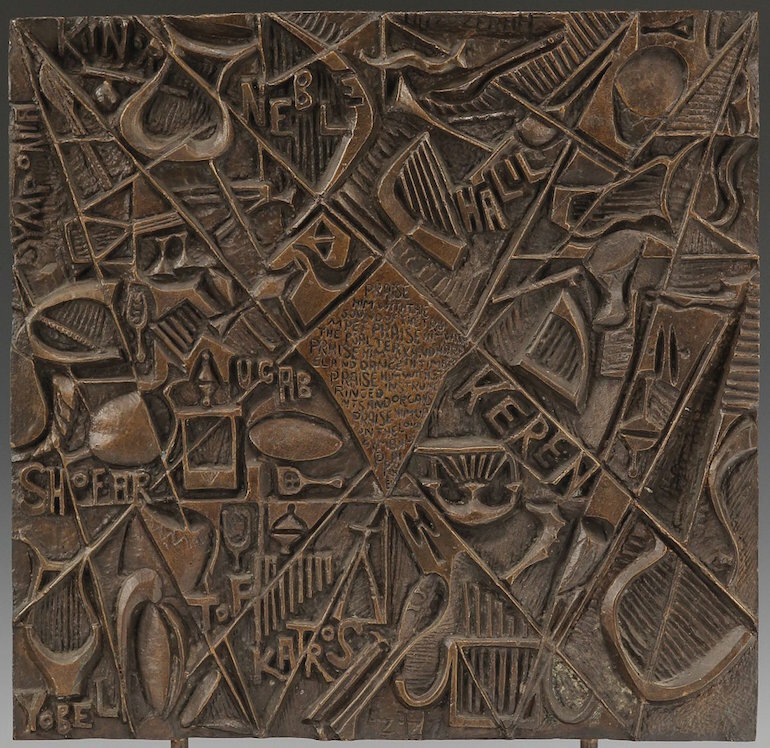 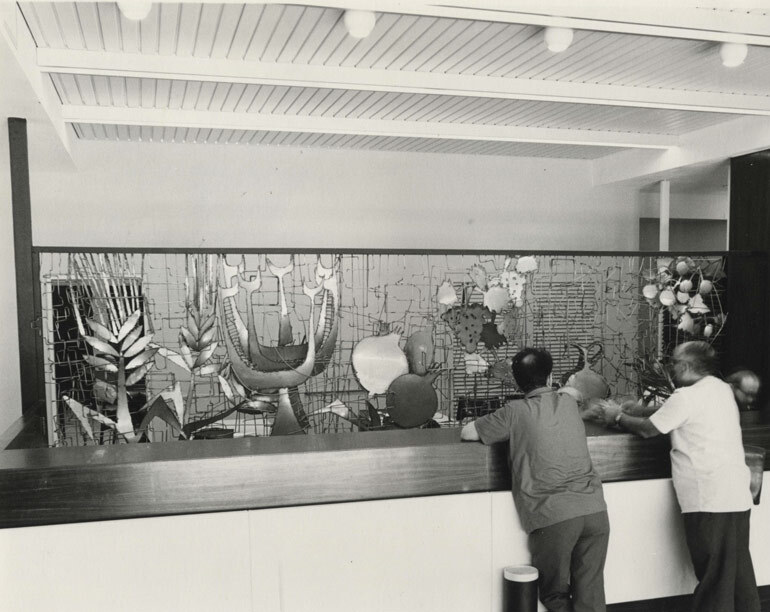 The artwork is in the Art Collection of St Thomas' Hospital. 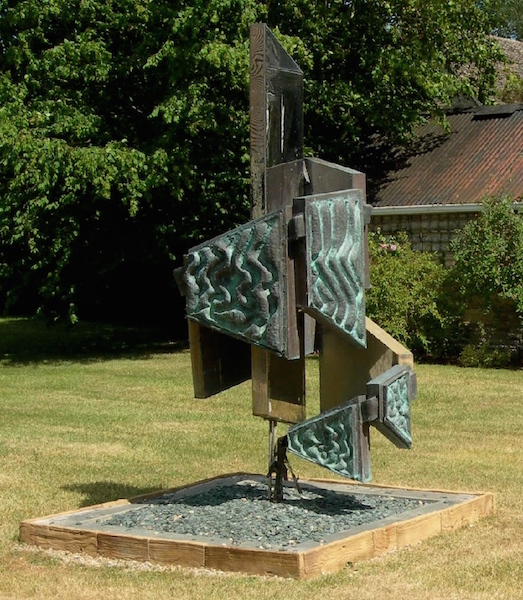 Copper and stainless steel waterfall in reflecting pool.